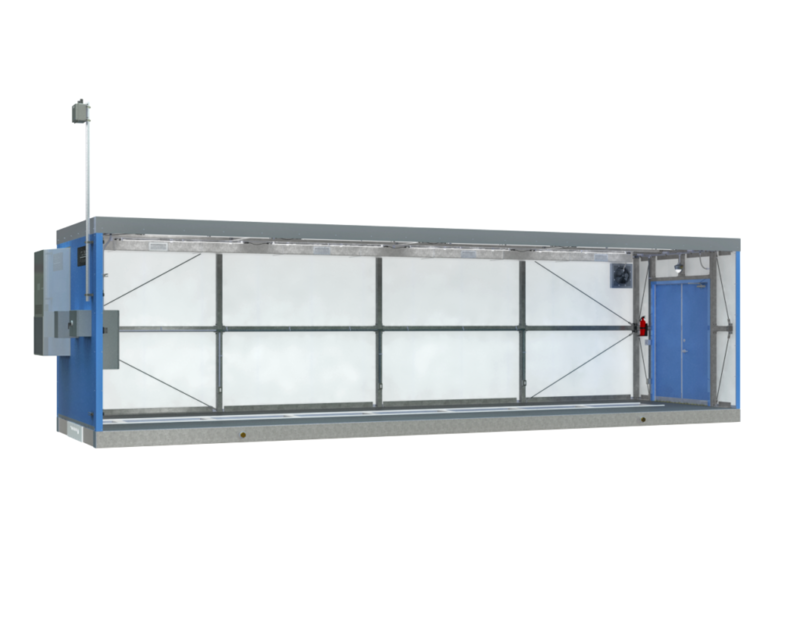 Enclosure consists of a galvanized tube frame with insulated panel walls. 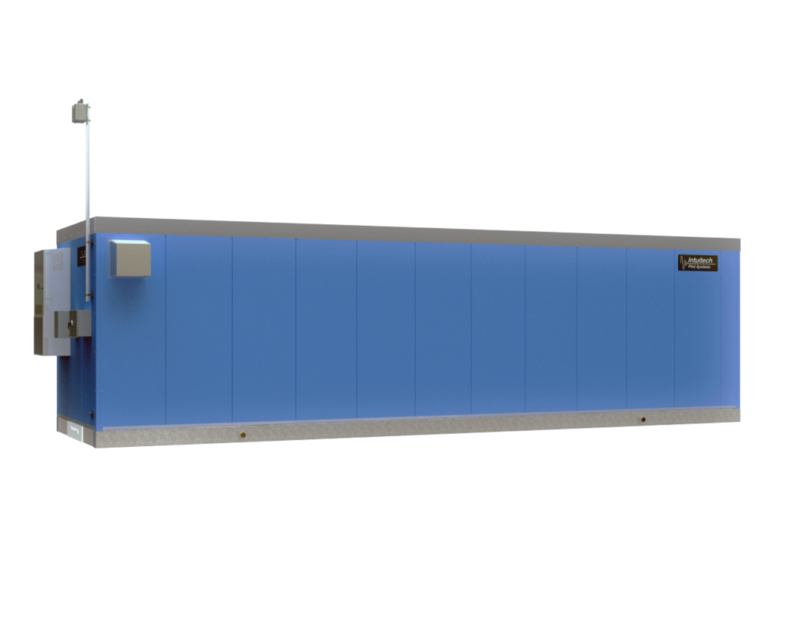 Enclosure includes a waterproof ¼ inch thick spray-on polyester floor coating and a 10’ working height inside the building, as well as an insulated floor, ceiling, and walls. Unit includes an entry/egress door, ventilation fan, wet location lighting, a power distribution panel, emergency lighting, a piping corridor recessed in the floor, remote access module mast, and combination heating/AC (2.5 tons of cooling/ 5KW heater) through a centralized HVAC system. The enclosure has space for up to 3 Intuitech pilot modules.